Few other symbols in the world can hold a candle to the cross, as this is a symbol that is popular and wide-spread, existing in many faiths and forms worldwide. Now, it exists in one more, in the form of this Black Cross of Nails Necklace. 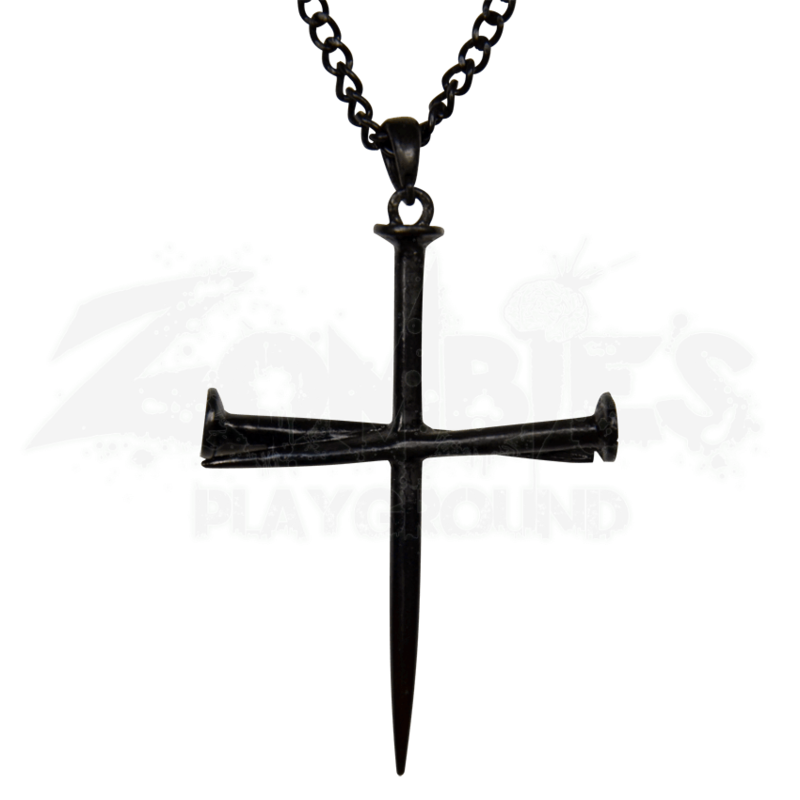 This pendant is blessedly simple, consisting of a trio of blackened nails that have been fused together in places to form a rudimentary cross. This cross can be a symbol of faith, hope, or durability. You can make it your own symbol, by attaching to this cross of nails whatever feelings you wish to carry with you, ensuring that when worn, this simple cross remains a reminder of all the things that keep you going, whether you are just surviving the day-to-day trials of life or fighting for your life to survive the zombie apocalypse. 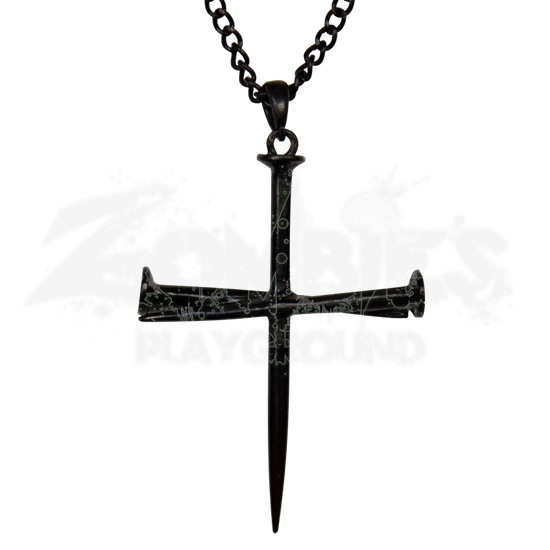 Attached to the top nails head is a ring, which connects the pendant to a blackened 18 inch long chain, which keeps the cross comfortably near to your collar and neck when worn. Faith does not always translate to religion, and the same is true for crosses. So if you wish to have a cross but want something that is rugged, simple, and effective, then do not look any further than this Black Cross of Nails Necklace.